Zippered main compartment. 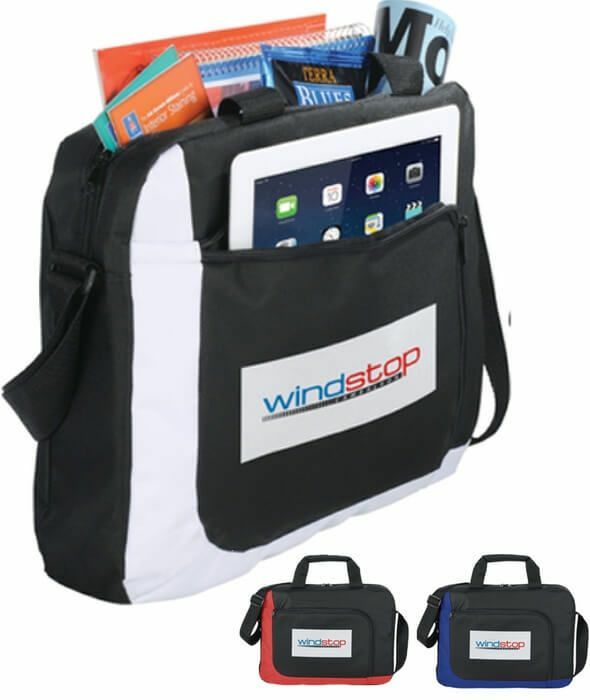 Zippered front pocket is sized to fit most iPads®, tablets and eReaders in their cases. Adjustable shoulder strap. Wrapped webbing carry handles. Tablet device not included.